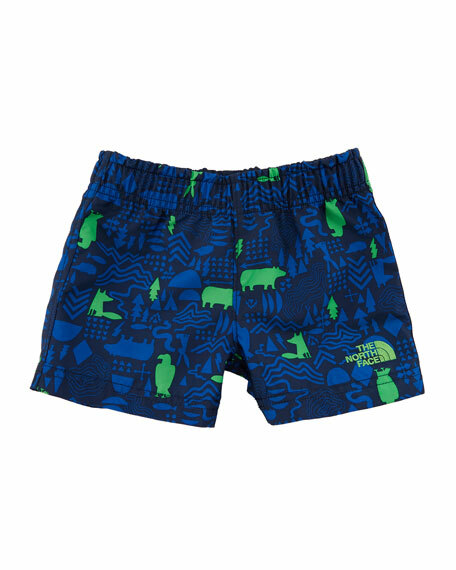 The North Face hike/water shorts in critter print. QuickDry performance allow your toddler to go in and out of the water with ease. Plain weave with durable water-repellent (DWR) finish. For in-store inquiries, use sku #2544414.